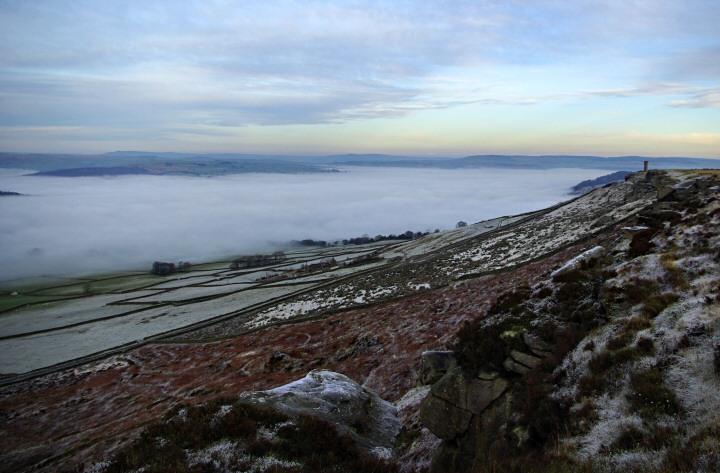 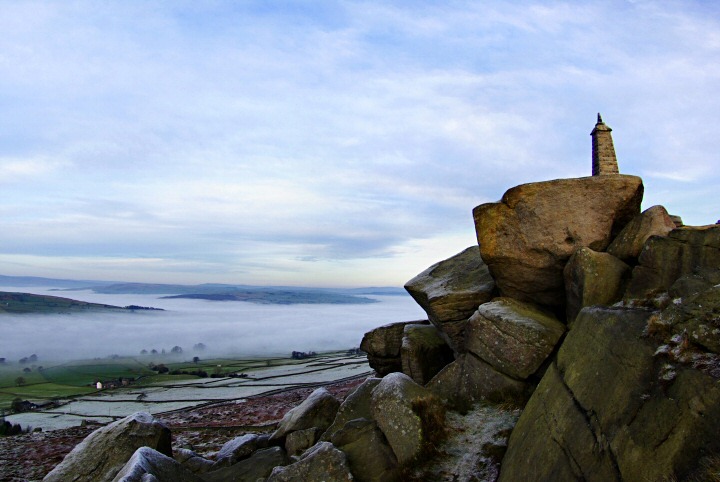 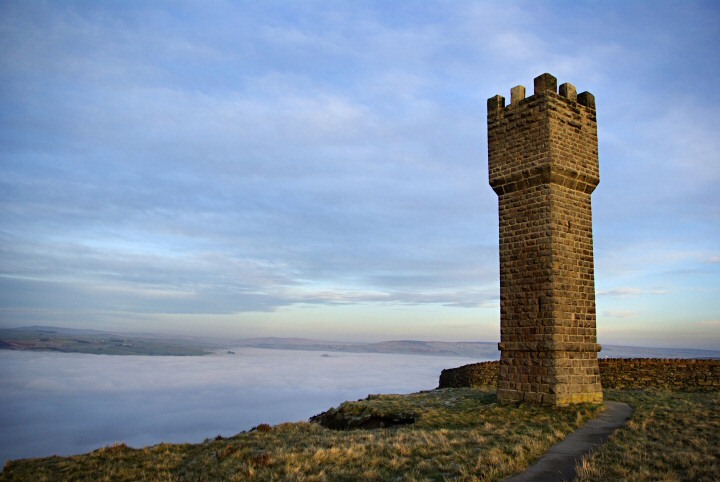 After the temperature dropped to -4°C overnight, a freezing fog shrouded the Aire Valley all day on Saturday the 29th of November 2008. 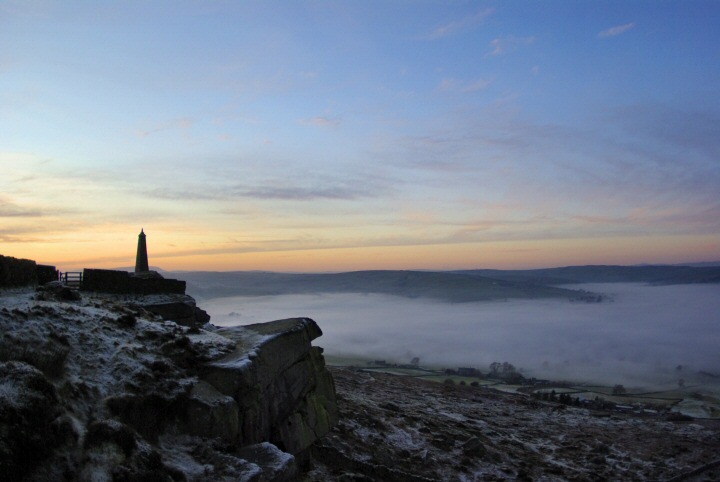 It was a cold, still and grey day in the centre of Sutton, but up on the top of Earl Crag it was a different story, with a crisp frost, blue skies and sunshine. 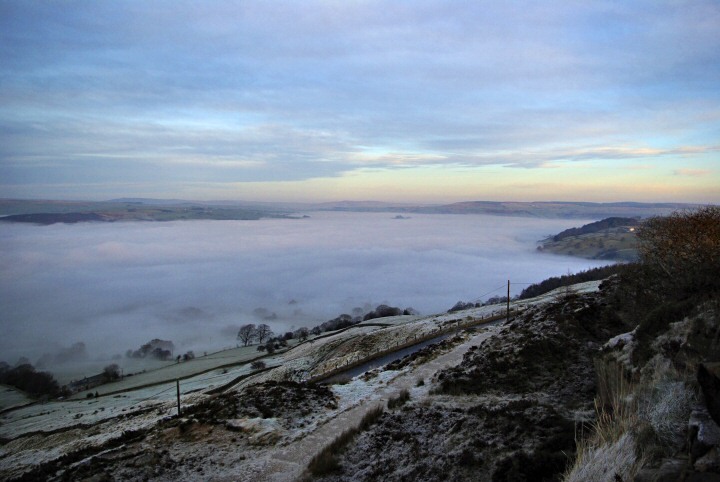 The freezing fog looked like a blanket of cotton-wool covering the valleys.